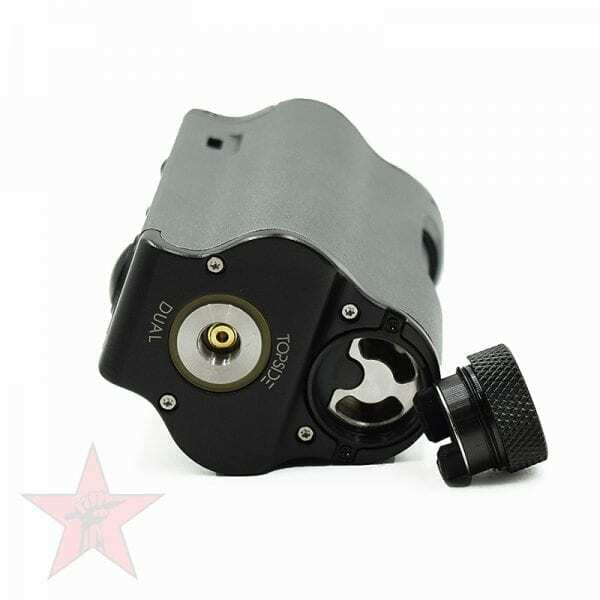 Dual 18650 squonk mod by Dovpo. 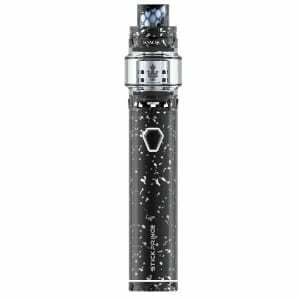 The DovPo Topside Dual is an updated version of the original Topside, designed in collaboration with the Vapor Chronicles. 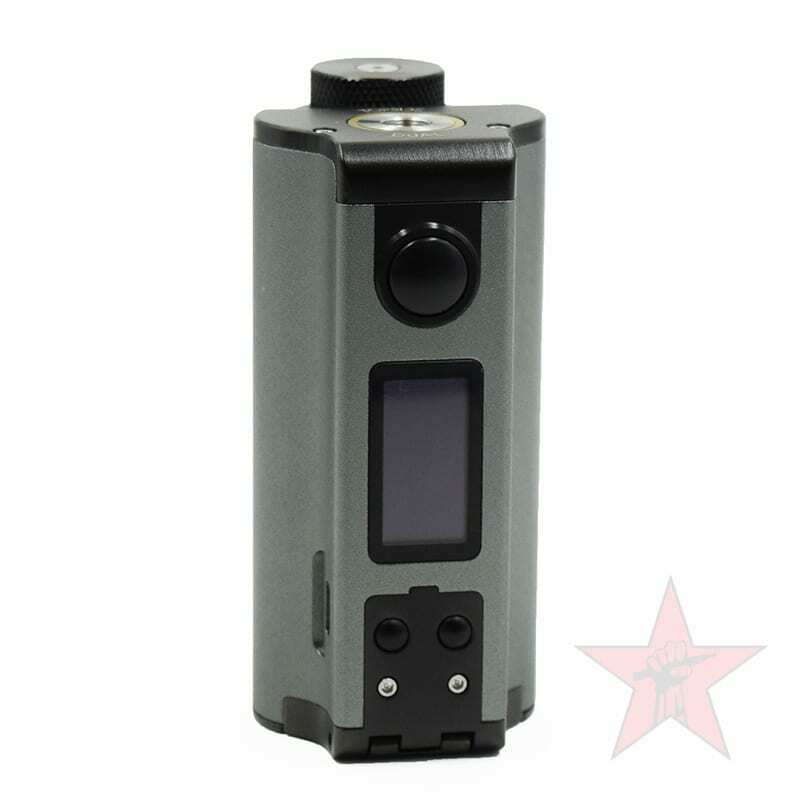 It is one of the smallest dual battery squonks on the market. 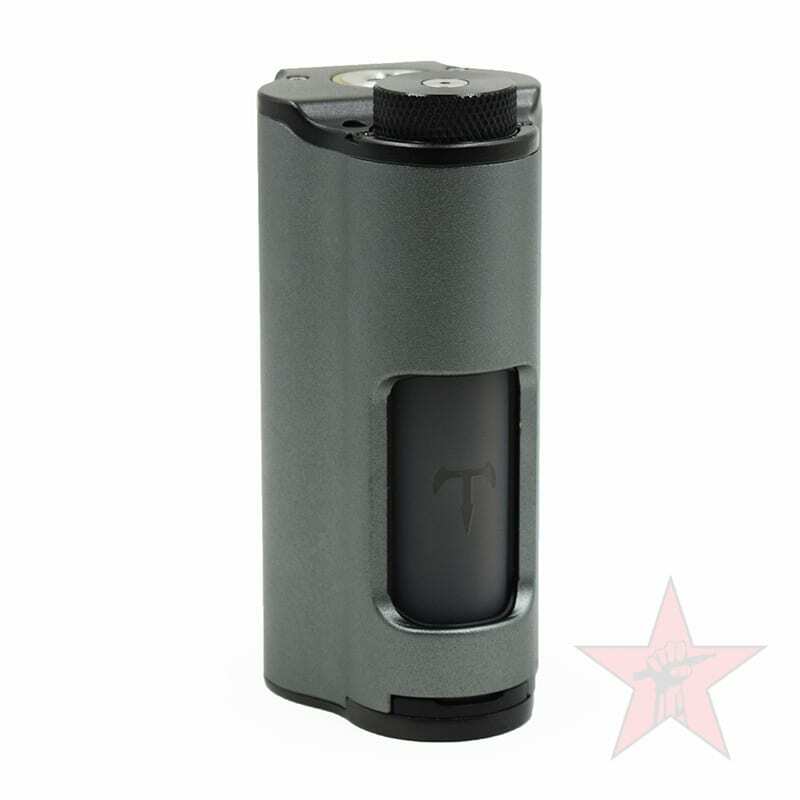 This squonk mod is made for dual 18650 batteries, and is designed with an innovative top-fill squonk bottle and upgraded power chipset! 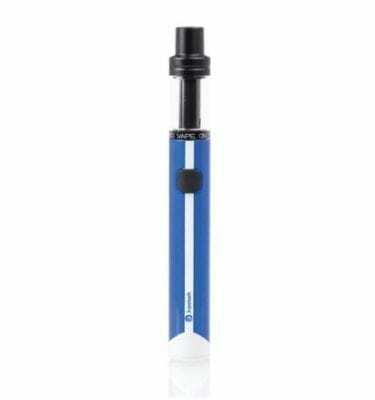 It boasts a signature 10mL bottle, that is made of silicone, making for an easy press fit. Within the unit, after unscrewing a knurled and threaded top cap, the squonk bottle can be filled from the top. The battery door is hinged and is used to hold the bottle in place. 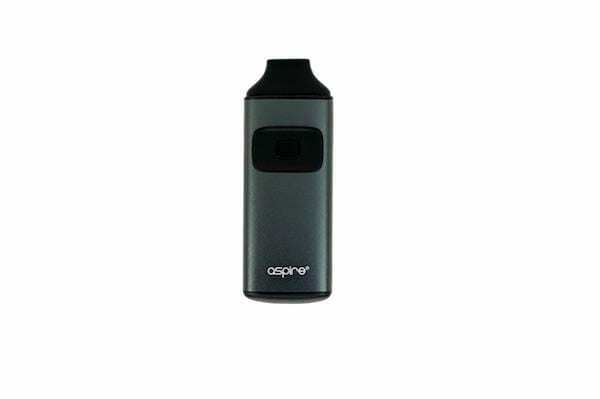 The Topside Dual has a simple chipset that features a wattage range of 5W to 200W, a full temperature control mode, a power mode, integrated protections, and a 2A micro USB charging and data port. 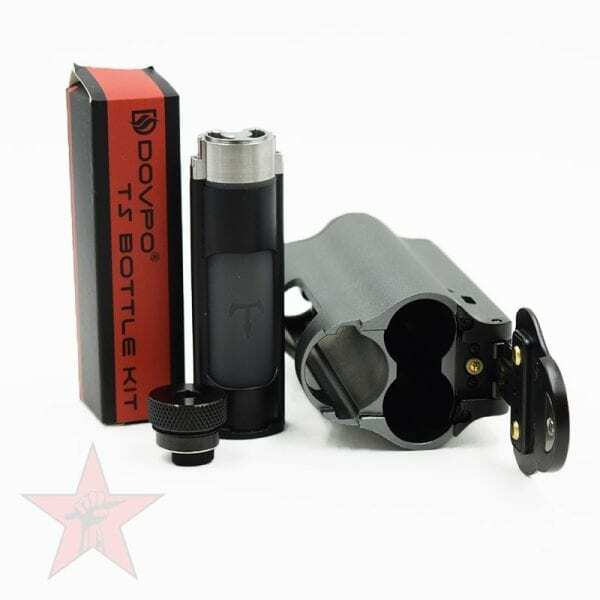 Kit includes: TVC Topside Dual Mod, 2 10mL squonk bottles, USB cable, and documentation. Note: This item is for ADVANCED USERS ONLY. Rebuildable atomizers require knowledge of coil building and ohms law to ensure the safety of the end user. Test each build for it’s resistance and ensure it is within safe parameters for firing on unregulated devices. We are not liable for any damage or injury caused by misuse.